If this isn’t the funniest and cutest thing on earth we don’t know what is! 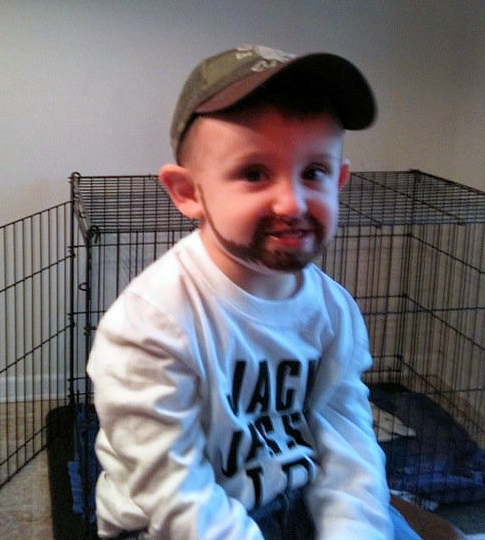 This is a little Jack Jessee look-alike that that got posted on Facebook, by Jamie Stollings. What’s so funny is that this little Jack Jessee appears to have recently been let out of his cage. We warned Jamie Stollings to make sure he was put back in his cage at night… so funny. Jack and I laughed for at least an hour about this. Thanks to the Stollings. We really loved this. This entry was posted in Ice Road Truckers and tagged cage, cute, facebook, funny, humor, ice road truckers, irt, jack jessee, mini me. ← Jack gets his ATV stuck on a muddy trail! That is my grandson and he has loved IRT since he was 2 years old. He still plays IRT’s. He will get play doh and act like it is snow and get his trucks stuck and then he says he needs a tow strap to get them out. We record IRT at our house and his Dad also records it and he watches it all the time. too funny! love it. thanks for checking out the blog. He is the son of you? no, his name is Tyson Stollings and his dad Jamie posted the photos on facebook. Isn’t this the most adorable picture. Now that is a fan. So cute! 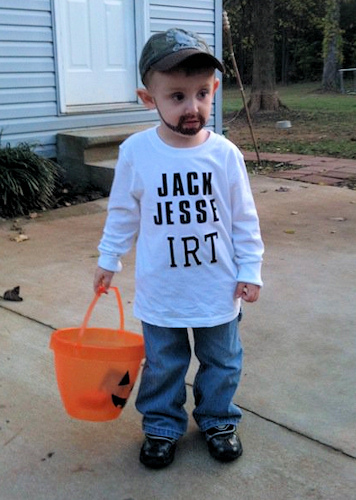 That is my grandson aand he loves IRT. This is just too cute! I’d be curious as to what Jack’s parents thought of it.